Warm and oozing with cheese, this Baked Ravioli is comfort food at it’s best that your family is going to love. Comfort food, what is that really? 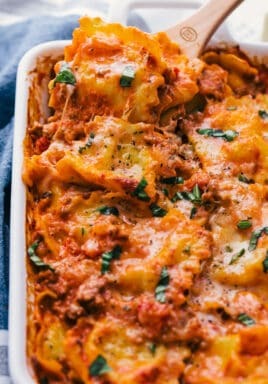 Let me tell you, it is this delicious cheese filled, creamy and hearty Baked Ravioli recipe all mixed together that will make you smile with every bite. Melt cheese in anything is the iconic way to warm the soul, and this Baked Ravioli does just that. 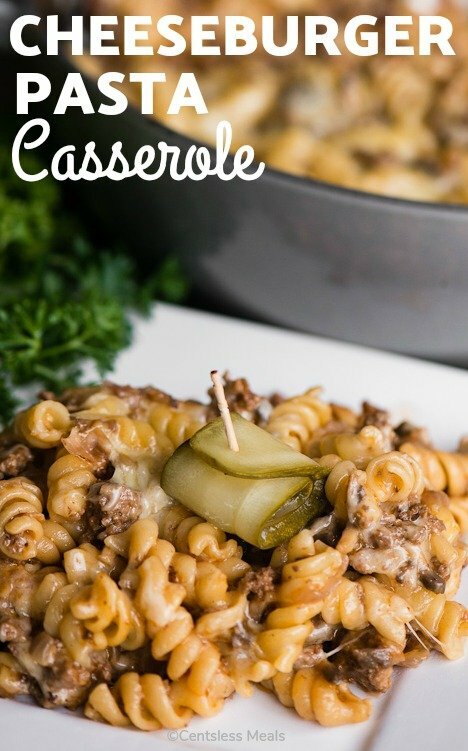 Each bite is packed full of creamy goodness with a hearty meat sauce and is a quick and easy family meal for any night of the week. 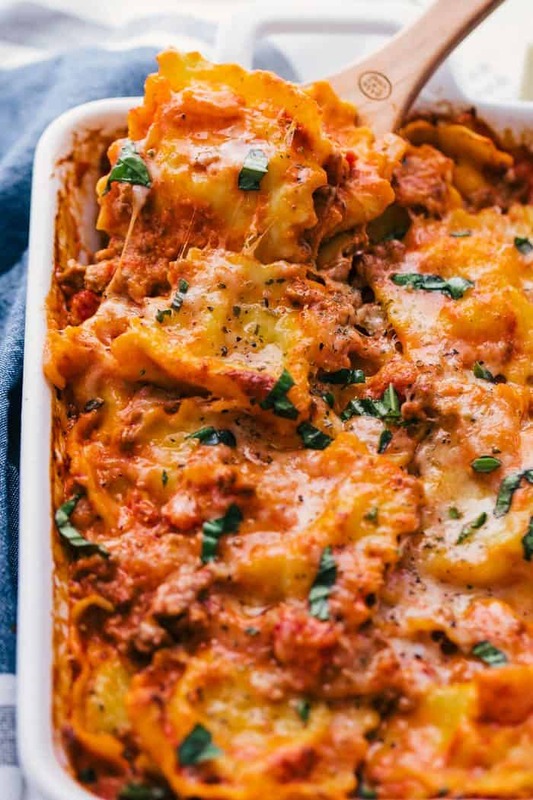 Baked Ravioli is a delicious pasta dish that is prepared and baked like a casserole. Instead of cooking the noodles and pouring sauce over them to serve, you cook the noodles and bake it mixed in with the sauce. 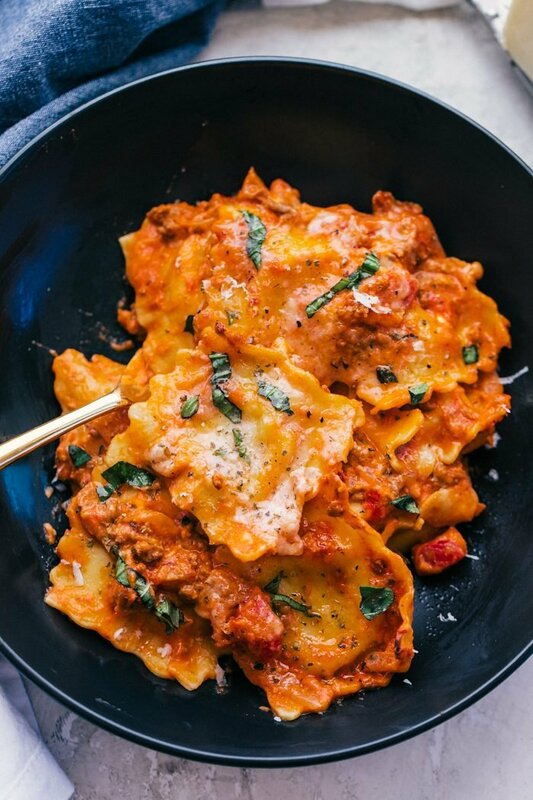 The ravioli and the sauce being baked together is the perfect combination of cheese and meat sauce served all in one dish. While family dinner is sometimes hard to orchestrate due to school, activities, homework, and work. So it’s good to have recipes we can make that don’t take a lot of time and will actually draw everyone to the dinner table. 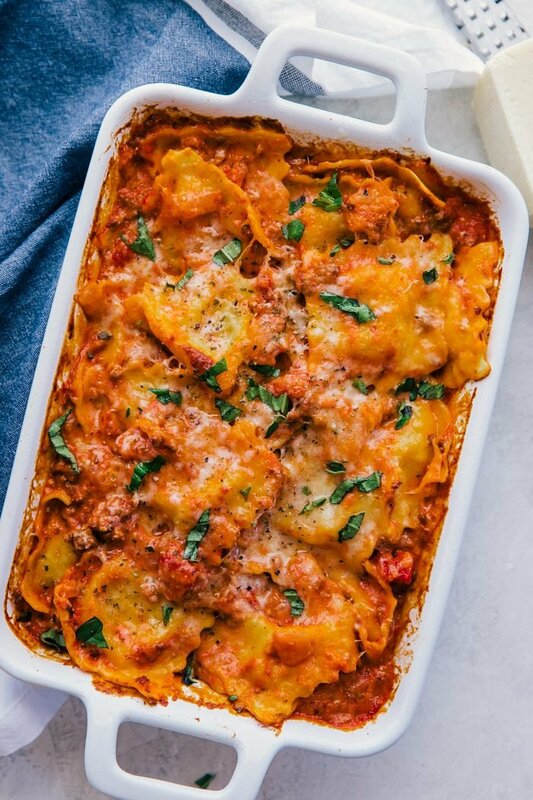 Rather than fussing on what to cook or calling out for takeout, make this Baked Ravioli and bring life back to your kitchen table again. In a large skillet over medium high heat, cook ground beef and season with garlic salt and pepper. When beef is almost done cooking add minced garlic and diced onions and cook until beef is no longer pink. In a large bowl combine, cooked noodles, marinara sauce, alfredo sauce, diced tomatoes, and beef mixture. 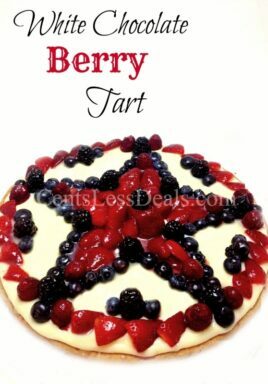 Stir in 1 cup mozzarella cheese and cream cheese until fully combined and cheese has melted. Place mixture in a 2 quart baking dish coated with nonstick cooking spray, and top with remaining 2 cups of mozzarella cheese. Bake uncovered for 20 minutes, then broil on high for 2 minutes. Garnish with fresh chopped basil and oregano. Serve immediately with warm french bread. How do you reheat Baked Ravioli? 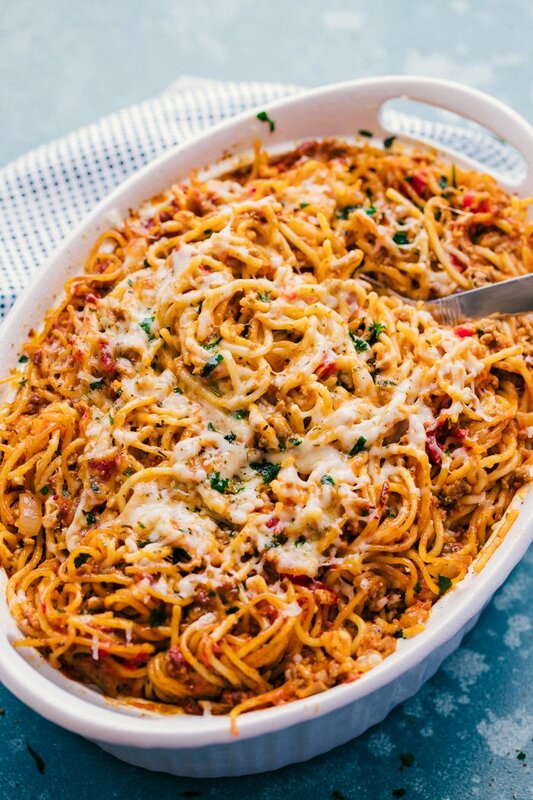 Reheating pasta with sauce can be done, but only up to three days after cooking. Simply heat your oven to 375 degrees F and transfer your ravioli into a baking dish or ovenproof dish and cover with foil. Bake for 20 minutes or until ravioli is heated through. To make it even better, remove the foil the last 5 minutes of reheating and top with mozzarella cheese to revive the gooeyness. It seems like comfort food is a fantastic way to draw everyone in to enjoy dinner. 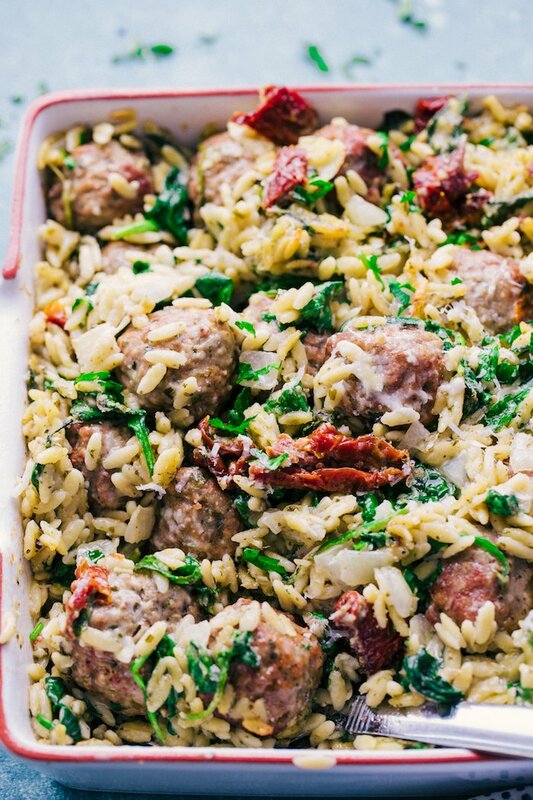 So this Baked Ravioli is the perfect go-to meal to your family’s heart. 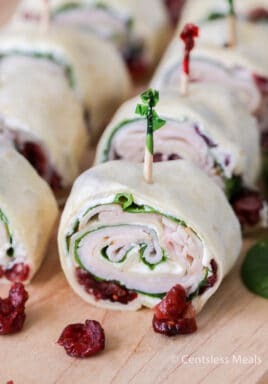 Most of all, dinner doesn’t have to be difficult, but it should be delicious. Warm and oozing with cheese, this Baked Ravioli is comfort food at it's best that your family is going to love. In a large bowl combine ravioli, marinara and alfredo sauces, diced tomatoes, and beef mixture. 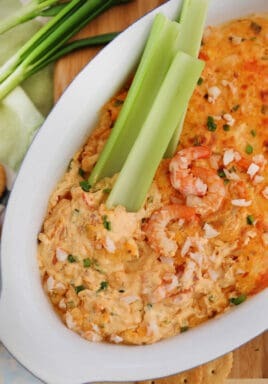 Stir in 1 cup mozzarella cheese and cream cheese until fully combined and cheese has melted. Place mixture in a 2 quart baking dish coated with nonstick cooking spray, and top with remaining 2 cups of mozzarella cheese. Bake uncovered for 20 minutes, then broil on high for 2 minutes. Garnish with fresh chopped basil and oregano. Serve immediately with warm french bread.